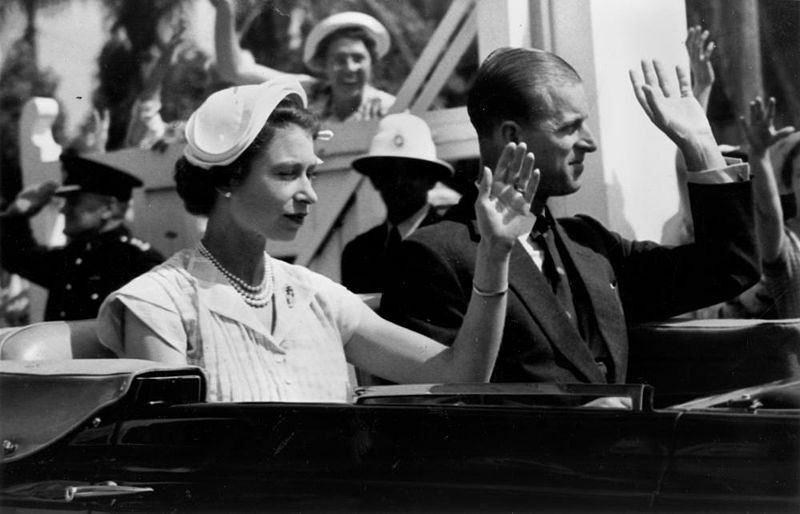 Queen Elizabeth II and Prince Philip en route to Eagle Farm Airport in Brisbane, 1954. A tribe from a remote village in Vanuatu feared that the retirement of Prince Philip would cause them bad luck. The tribe learned about the prince’s retirement Saturday - three days after it was announced. They pray to the Duke of Edinburgh, believing he is the son of a local mountain god. With this, they are afraid that his retirement means they will never see him again visit the Pacific Island where he and Queen Elizabeth II are very much a fixture of the way of life in the village of Younanen. Local legend has it that Prince Philip is the pale-skinned son of the mountain god who ventured across the seas to look for a rich and powerful woman to marry, Daily Mail reports. Vanuatu was a former Anglo-French colony known as the New Hebrides. Villagers must have then seen portraits of the prince (“the pale-skinned son of the mountain god”) and the Queen (the “powerful, rich woman”), which were displayed in government offices and police stations. The god-like status of Prince Philip was solidified when he and the Queen visited the New Hebrides in 1974. Because of its extreme isolation, the village of Younanen is not marked on maps. It is also difficult to get a guide when planning to visit the place. It takes a three-hour drive through dirt road from Lenakel, the capital of Tanna, to reach the village.